If your quick and become one of our first 1000 fans you will get some of the most amazing rewards! Want to be in our next video or get a one-on-one with the creators of Get your Santa On? Then you need to be on our members list. When a multi instrumental songwriter and producer met a tone deaf ideas man, an unlikely musical partnership was born – Autolegs. In the sleepy English village of Steeple Claydon in Buckinghamshire, Charlie Wood played practically every instrument known to mankind. He even had a Yugoslavian nose flute. He had a few bands with his mates at primary school and then at secondary school (called middle school or 6th-8th grade in the USA) The 11th Hour in which he sung and played bass, which was wicked. They were only young but they made some great records, the opening theme to a film, and were local celebrities. Keyboard player Jack Routh was Charlie’s musical soul mate. One horrible day, Jack died aged 24. Charlie’s world was completely torn apart, he stopped playing music and all creativity ground to a halt. Charlie met Emma, a children’s entertainer, novelist and formidable creative force. She mended him and they got married, did some travelling, went on an epic mission to make a short film together. Then they entered a competition to make adverts for a crisp company. They needed a camera man. They contacted Amersham college where Emma had studied with James Corden to see if any students were interested in working with them. Ivan was studying TV production there and ever eager for random creative opportunities, answered the call. They made adverts with Ivan, they had found someone who shared their passion for crazy ideas that might just work and an amazing hardworking partnership was born. Autolegs was just a twinkle in their eyes. Charlie started another band, Almost Midnight. They went on tour and were supported by BBC introducing, playing live on the radio show. Charlie Emma and Ivan made an epic music video that took a year to film. They had a lot of fun and honed their production skills. More music was made, more videos were made, friends were made and good times were had. Charlie and Emma then made a charity song – A Million Hearts by Alexander’s Army. They worked around the clock for a week to help their community raise £300,000 for a child with a brain tumour. A while later, Charlie had another idea – let’s release a fun song for Christmas. He called Ivan. He loved it and instantly had hundreds of ideas. 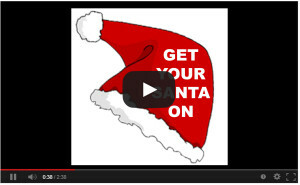 Autolegs was born and are ready for Xmas 2015 with their debut single Get Your Santa On. The fun crazy song represents everything the festive period should be about. They follow in the footsteps of legends who have written epic Christmas hits such as Slade, Paul McCartney and Elton John. The best Christmas songs are the ones that brighten up your day, bring friends and family together and make you jump and up down with excitement. We live life at a million miles an hour, work too hard and there’s doom and gloom in the news and there hasn’t been a happy, daft Christmas song in the charts for years. Charlie wanted to change that and together with his friend Ivan and Wife Emma, Autolegs was created. So why the heck is the band called Autolegs? Play Get Your Santa On and see what happens. Meet the mastermind behind Get Your Santa On. His name is Charlie Wood and when it comes to music, the man’s an absolute genius. Song writer, producer and multi instrumentalist, the man plays keyboard, drums, brass, bass, guitar and anything else that’s knocking about. Perhaps the only person that didn’t jump on his talent was Louis Walsh when Charlie appeared on Britain’s Got Talent playing 4 instruments a few years ago. All 3000 people the Hammersmith Apollo audience gave Charlie a standing ovation then booed Walsh’s decision which would have made fantastic TV had the show been aired. 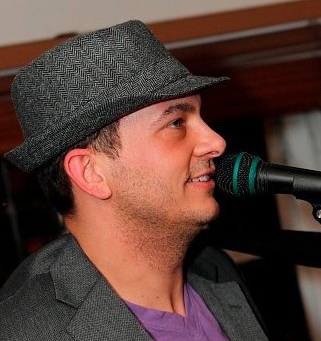 Amanda Holden backed Charlie alongside Ant and Dec who said ‘there’s no doubt we’ll see you in the charts one day, Louis Walsh doesn’t know anything.’ Charlie’s been on the gig circuit many years in various covers and originals bands, always with a burning desire to get his music out there.